Spare set of sails available in red, believed to be original and never used. 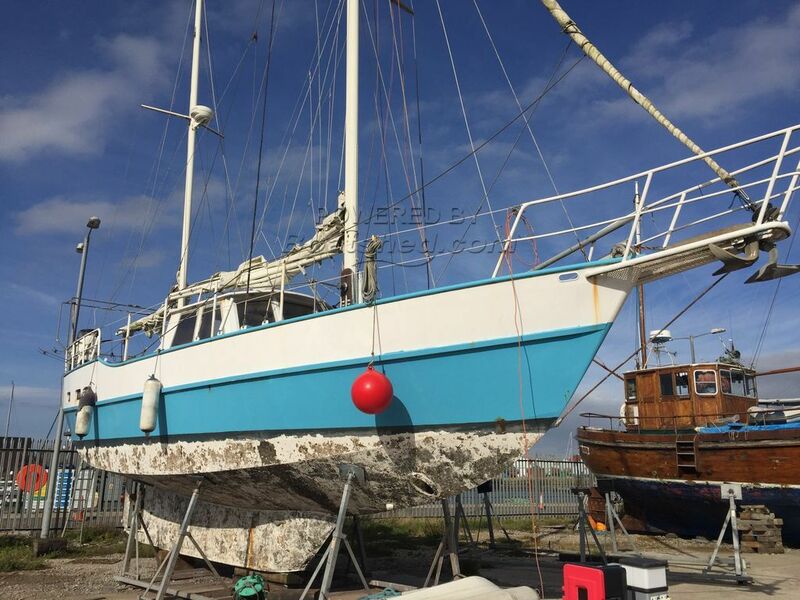 Boatshed Lancashire delighted to offer for sale this steel ketch rigged Motor Sailor. She has spacious and comfortable accommodation with a well equiped galley and saloon/dining area aft. She is an ideal craft for extended cruising and/or living aboard, and is well equiped with navigational aids. A spare set of original sails which have had little use are included as part of the inventory. The boat needs re-painting and new standing rigging. The sails on at the moment are not good but the spare sails stored in the boat are good. Note: All steelwork now completed. This Motor Sailor 34 has been personally photographed and viewed by Adam Loftus of Boatshed Lancashire. Click here for contact details.